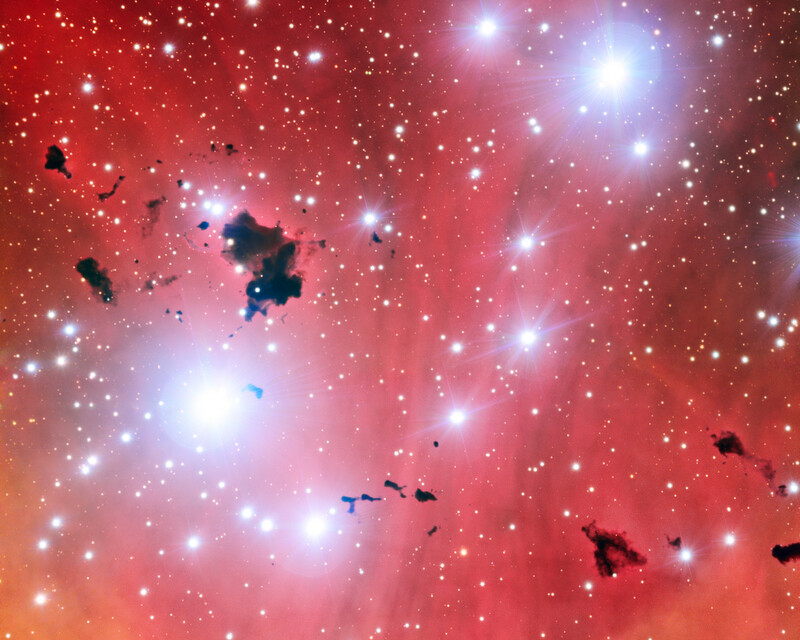 This intriguing new view of a spectacular stellar nursery IC 2944 is being released to celebrate a milestone: 15 years of ESO’s Very Large Telescope. 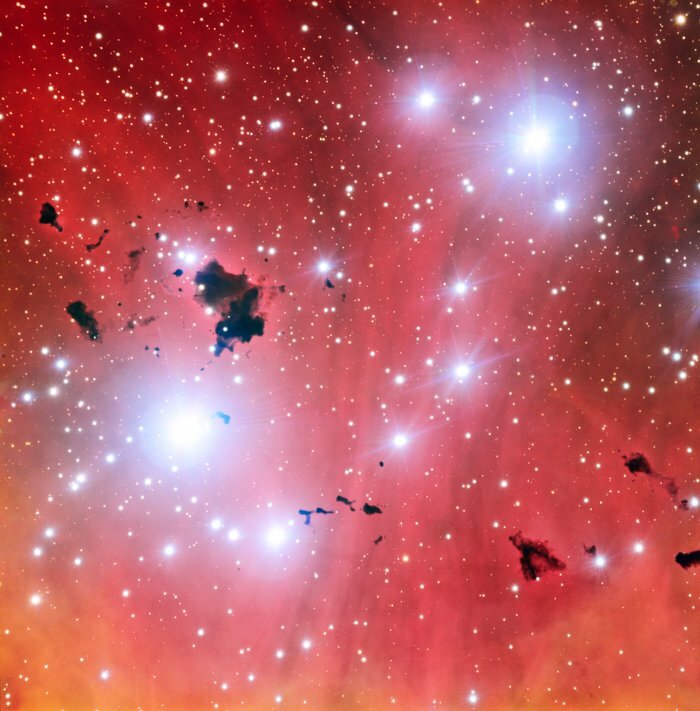 This image also shows a group of thick clouds of dust known as the Thackeray globules silhouetted against the pale pink glowing gas of the nebula. 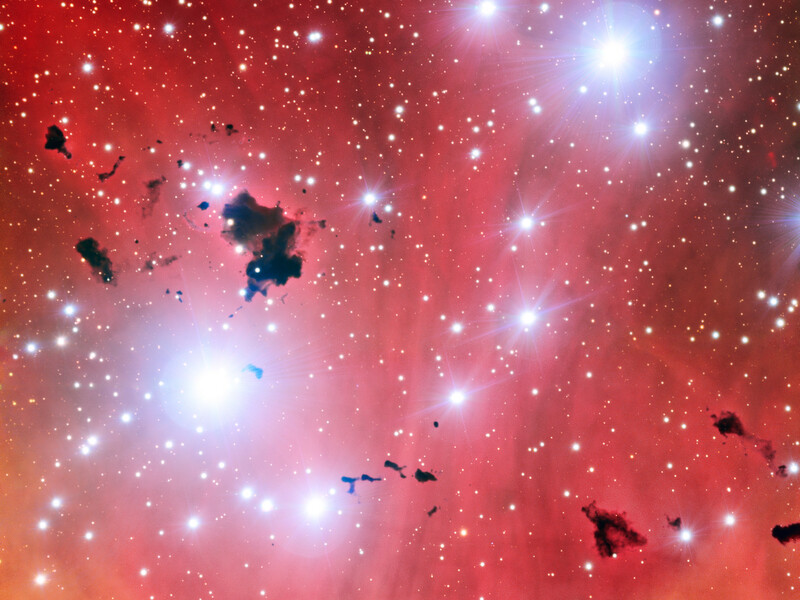 These globules are under fierce bombardment from the ultraviolet radiation from nearby hot young stars. They are both being eroded away and also fragmenting, rather like lumps of butter dropped onto a hot frying pan. 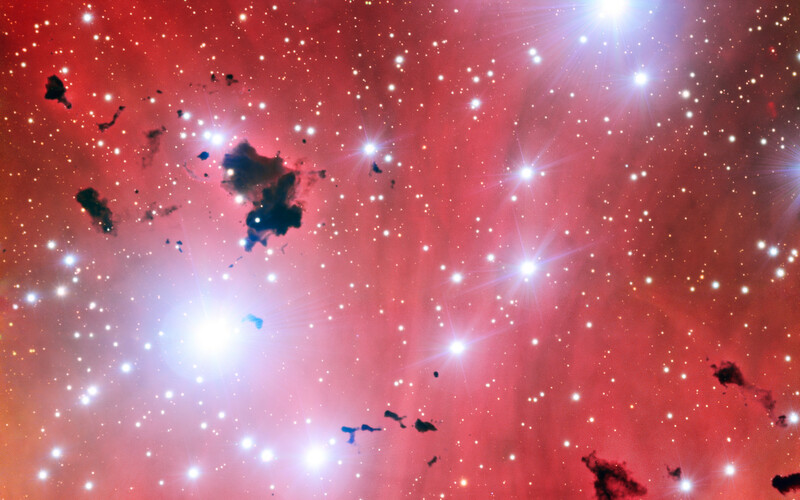 It is likely that Thackeray’s globules will be destroyed before they can collapse and form new stars. Position (Dec): -63° 22' 22.43"